PROMOTECH was founded with the intention to solve different problems which are linked to automation. It supplies electrical, electronic, servo engineering and informatics materials. 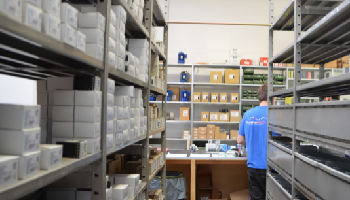 PROMOTECH is a leading Company specialised in the distribution of a wide range of materials required in electrotechnics for MV and LV. The many years of experience and the familiarity with the problems related to this sector enables us to supply a vast selection and many types of certified products, by means of a thorough qualitative selection. This is in order to satisfy the complex needs of the market and respect the current norms of law.Besides selling products, PROMOTECH also offers companies a nation-wide advice regarding hardware and software in all the sectors mentioned above. From sales offices to administrative area and technical office, during these years, every service in our company has gained experience and ability thanks to the synergy and the responsibility of a skilled and motivated team. 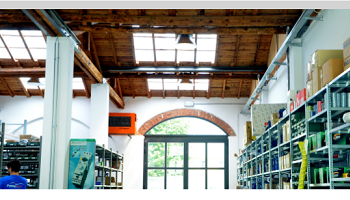 Our warehouse is the strong point of the company: an immense number of pieces is ready to satisfy every single demand. In this area, becoming larger year after year, people with a great technical education and problem solving ability are working. The choice of our staff is not a random one, Promotech “group” is a real organization where we offer the best services and support with professionalism. Delivery is without doubt the plus of our company, always guaranteed in a short time. A detailed service is ready to reach every destination requested: delay and inefficiency don’t belong to our dictionary. Renovate. A great availability of pieces in our warehouse including obsolete products, allows us to meet every need. A short time expert advice means reliability and problem solving skill which you can rely on.It is possible to give new life to any machine because automation is in our DNA. Restart. When a machine is not operating it means no production, costs and a loss of profit for companies. For this reason Promotech, thanks to its work, guarantees immediate assistance to its customers and solution to machine stops. Repair. Promotech is also a reference point for repairing service of broken/damaged products. Thanks to our long experience, we can immediately identify the originally problem and reactivate the product regular operation.